Five months have elapsed since the last filming on September 30, 2014. Therefore looking back and reviewing past footage to share the more unique aspects of video captures during the height of activity. 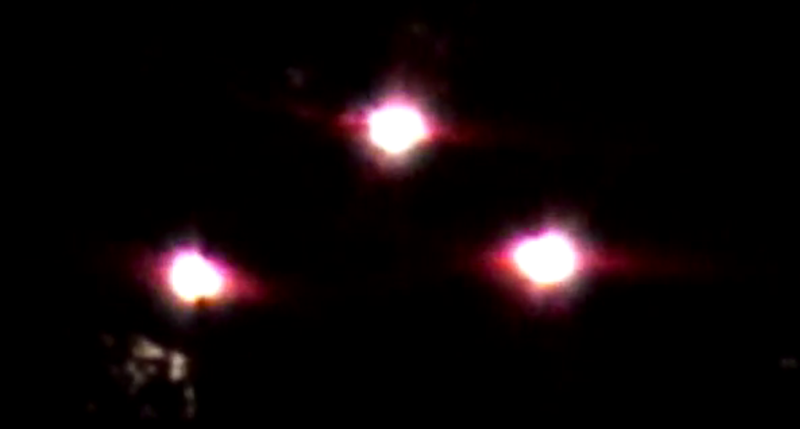 This clip shows a triangle of red lights that briefly appear in brilliance.